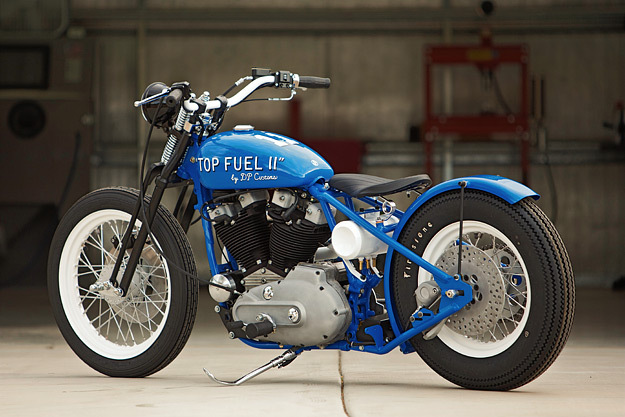 If there’s a specialist in custom Harley-Davidson Ironhead Sportsters, it’s Arizona-based DP Custom Cycles. 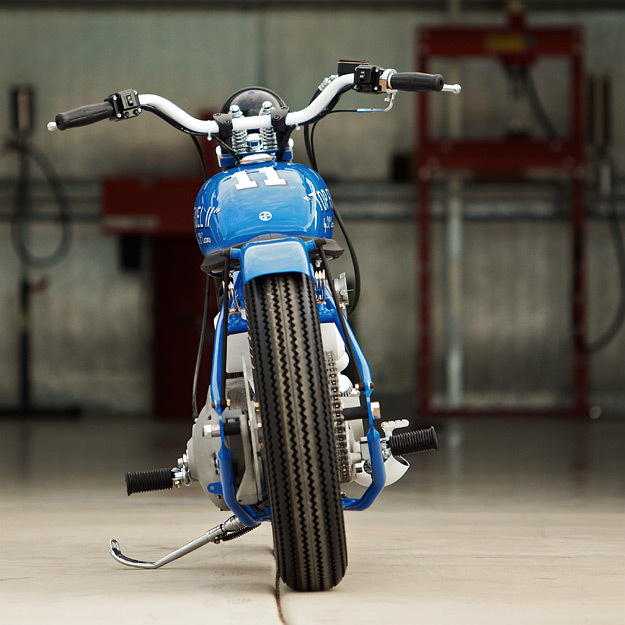 Their bikes are classy and well-finished, and invariably have a strong graphic look. And best of all, they’re priced to sell: DP’s motto is “Built by the workin’ man, for the workin’ man”. This time DP have gone for a really old school look with a springer front end, vintage Firestone rear tire, and white headers. Ironhead motors make great torque throughout the rev range—over 50lb ft at the wheel—and this makes for a very fun bike to ride around town. So the 5×16 Firestone (rear) and 3.5×19 Avon (front) are for cruising to the local pub rather than MotoGP-style cornering. 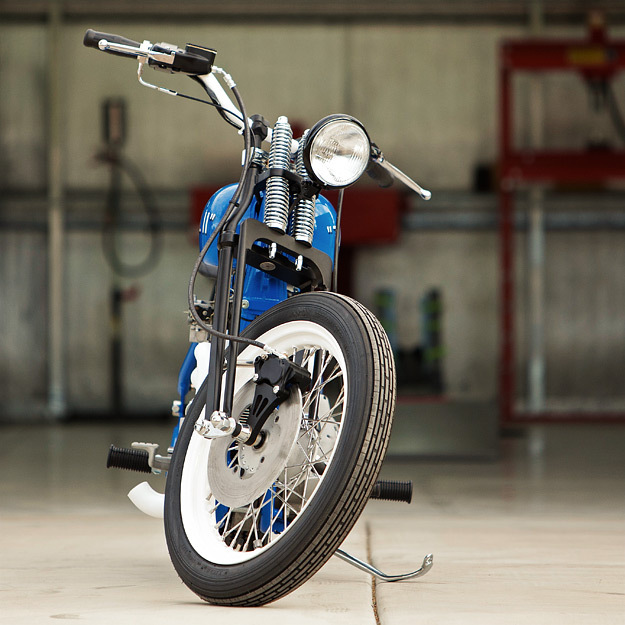 It’s got the style of a straight line gasser, with a comfortable Biltwell seat and an easy reach to the powder coated bars. The combination of the 4” under springer with a stretched hardtail gives the bike a great stance. 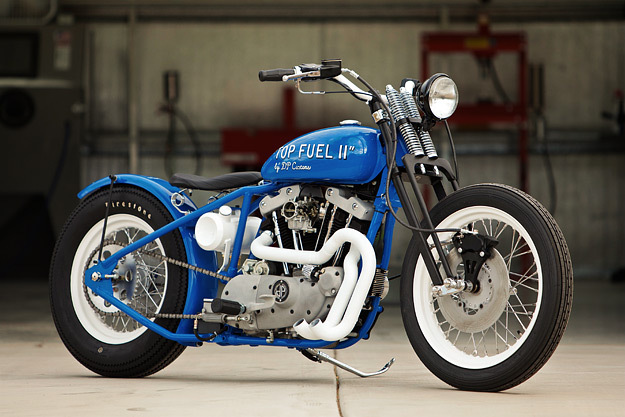 And it’s good to see colors that you don’t normally get on Harleys—like the white wheels and blue frame. 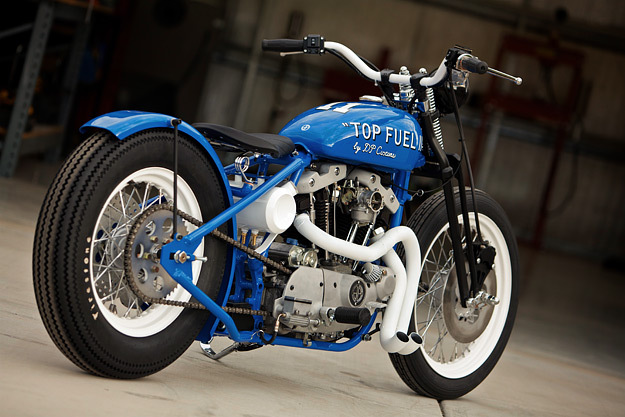 If Top Fuel II rings your bell, she’s yours for $11,500.